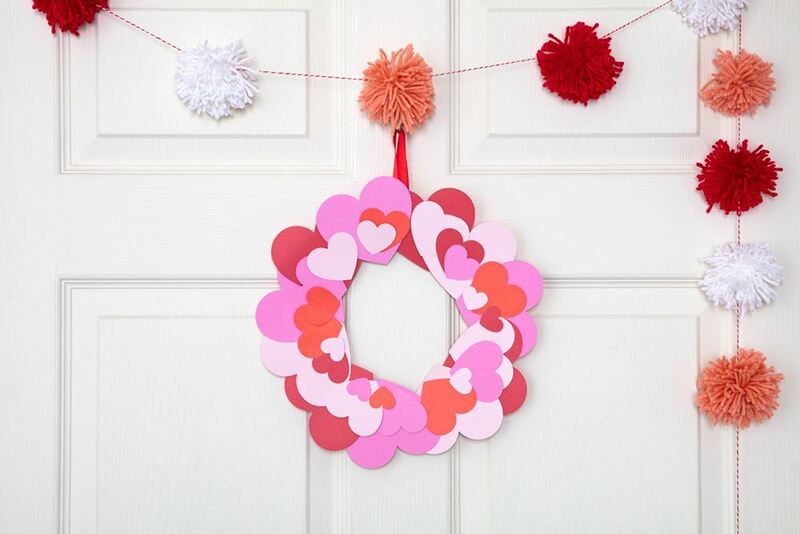 This paper heart wreath makes a festive addition to your Valentine's Day décor and is easy enough for the kiddos to make too! You can stick to traditional colors like reds and pinks or get creative with a rainbow of hues. 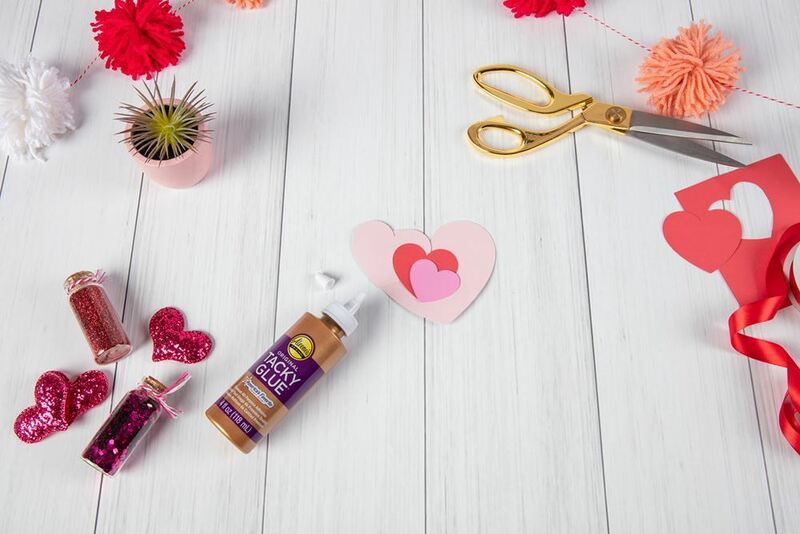 Grab a bottle of Original Tacky Glue, a paper plate and some card stock or constuction paper and you're ready for some adorable Valentine's Day crafting! 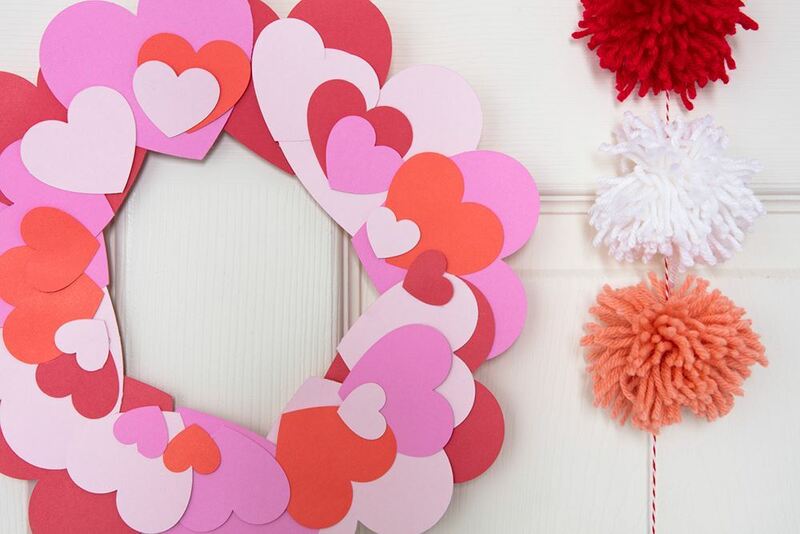 Make one for a special Valentine, a favorite teacher or your own space. Draw or trace hearts of all different sizes onto different cardstock colors and cut out. 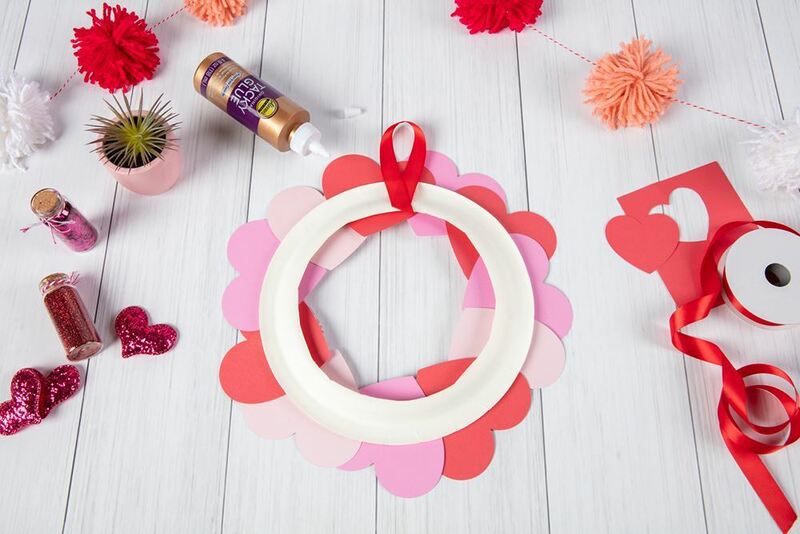 Cut out the center of the paper plate to create the wreath base. 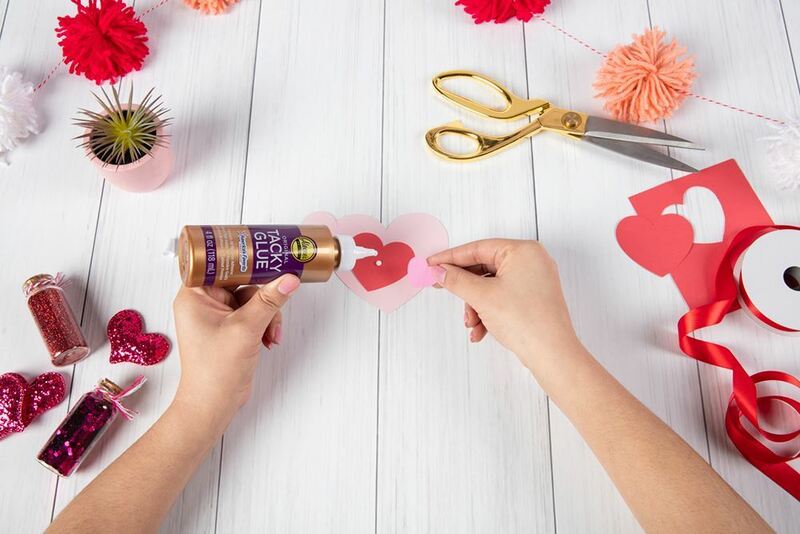 Glue some of the smaller hearts on top of the larger hearts to create layers. 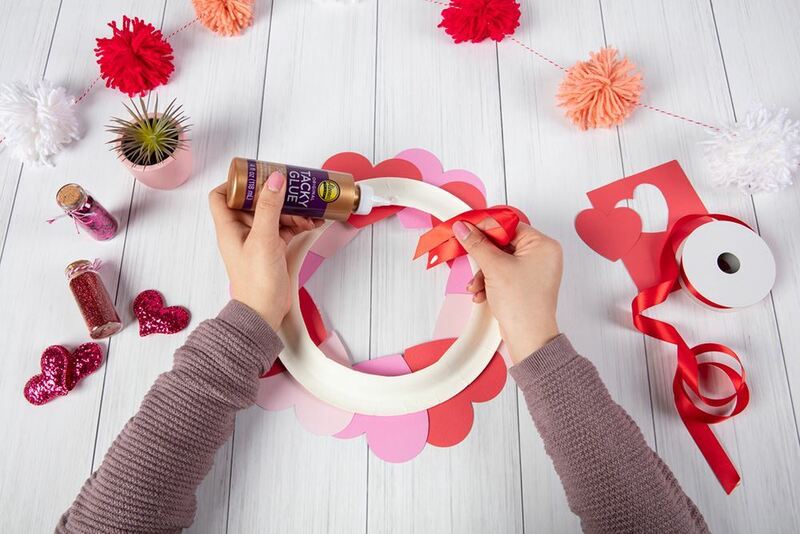 Glue hearts around the paper plate base, starting with the larger hearts and layering medium and smaller hearts as you glue. Let dry. 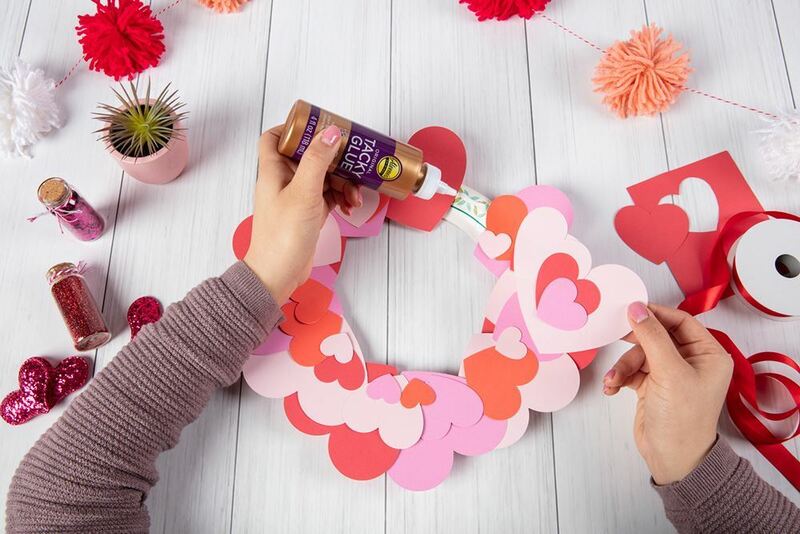 Once the hearts have dried, flip the wreath base over to backside and add a dot of glue to the top. Cut a piece of ribbon and loop it to create hanger, then press the ends in the dot of glue. Let dry completely.